36×54 Mix media. 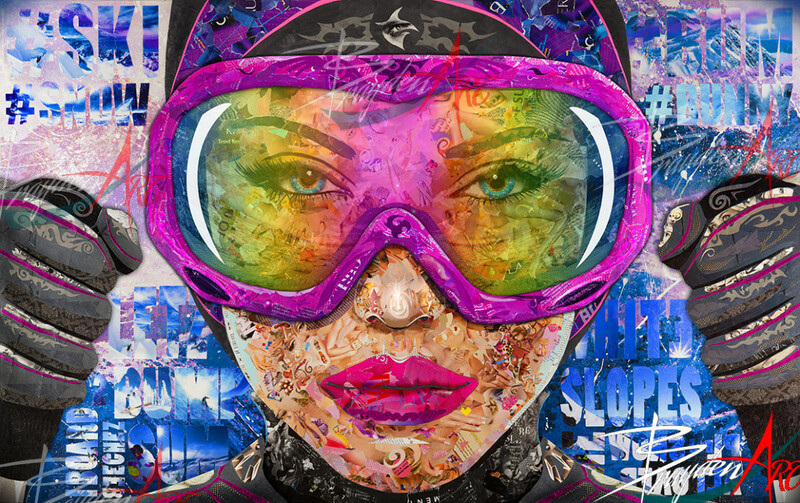 The ski goggles were built on to the canvas, and were covered in a thick resin. The lens of the ski goggles were 2 layered plexiglass, and had a translucent image of the view of looking down a slope printed on one of the layers, while the other layer had the highlights to give a greater feel of depth. On the original the gloves were on a 3d layer of its own and came off the canvas around an eight of an inch.